@ginallama and @peechie wanted guinea pigs and Justin Bieber; @stepc suggested DNA and drugs (it’s a DNA helix and chemical composition of cocaine); @hessiebell asked for a glitter pug and @sattlerkm wanted a picture of Ed’s wang, and @chrisbrett had the best idea: peanut butter on one side and jelly on the other. 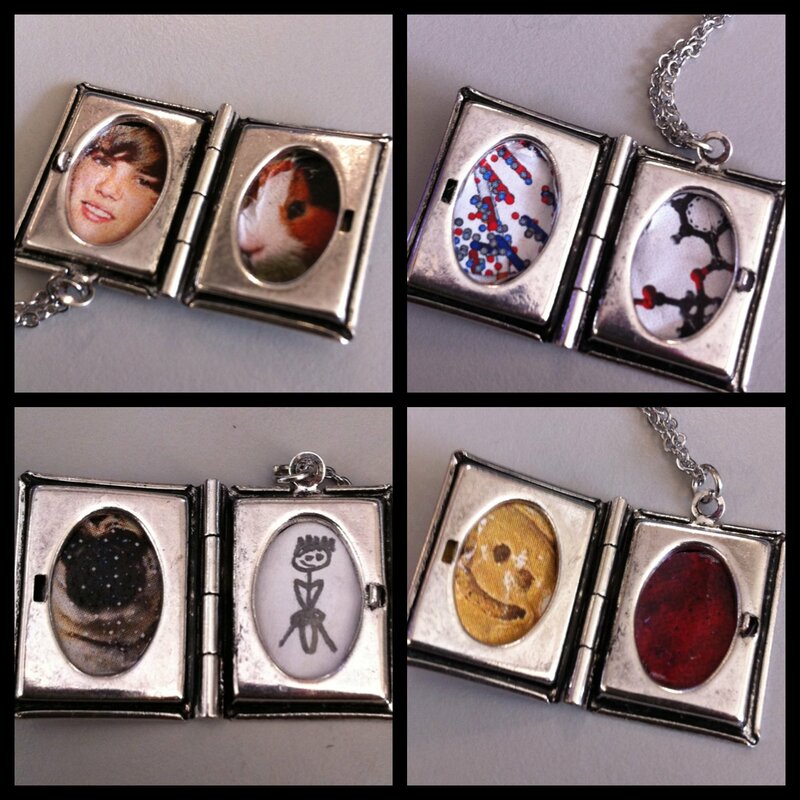 Who doesn’t want a photo of their significant other’s genitalia in a locket!? Omg Kimli hahahahaha I love it. You did it! !